Here are some links to free literature to help you learn Java. It uses a gentler approach to teaching students how to design their own classes, separating the coverage into two chapters. GUI coverage is also located independently in the back of the book and can be covered if desired. 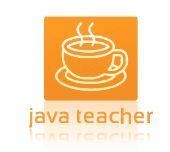 It is aimed at students with little or no programming experience, and it uses DrJava as a vehicle for student experimentation object-oriented programming concepts. This book has 49 chapters that will help you build OO design skills through the creation of a moderately complex family of application programs. This is a step-by-step guide to OO design and implementation. This book uses Objects First Approach. Students learn to design with objects from the start. In more traditional approaches, students first learn "programming basics in the context of procedural programming in the small." Since this frame of reference is essentially useless when attacking large-scale problems, students must later "re-learn how to approach problems. Instructors can present material from a point of view that will "make sense" throughout the curriculum. Presentation and justification of programming principles and good techniques is easier. This book is the third in a series of books on software development in Java The subject is object-oriented programming that deals with how a running program consists of cooperating objects and how these objects are defined and created on the basis of the program's classes. The subject of this book deals primarily with classes, interfaces and inheritance. Other object-oriented subjects are treated in the next books and [url=]here[/url]. Start building Java based web applications now, even if you're a complete newcomer to Java. Comprehensive and example driven, This book is all you need to develop dynamic Java-based web applications using JSP, connect to databases with JSF, and put them into action using the world's most popular open source Java web server, Apache Tomcat. Functional and flexible, this guide takes an objects-first approach to Java programming and problem using games and puzzles. After many years of teaching CS1 in Pascal, C, C++ and eventually Java, I became increasingly unhappy with what I was doing. It was very obvious to me that what I mostly taught, console programming that was similar to what I'd learned in the early 80s, was extremely boring and irrelevant to students. And it's no wonder. The stuff we did in CS1 looked nothing like the computer applications the student grew up with. They deserved better. Enter the ACM Java libary. This library made it possible to teach simple graphics and arcade game programming to students with no prior programming experience. But the students are still learning real coding and real Java. I enjoy the class much more, and it is obvious that the students do also. So I decided to write a book and make it available for free on the web. Our book is an interdisciplinary approach to the traditional CS1 curriculum. We teach all of the classic elements of programming, using an "objects-in-the-middle" approach that emphasizes data abstraction. The book is organized around four areas of computer science: programming, machine architecture, theory, and systems. Data Structures & Algorithm Analysis 2013 by Clifford A. Shaffer. This is the first part(of three) of the "Java"-series written by David Etheridge. This book gives the reader an introduction to Java and its basics. The topics in this book are Variables, Operators, Identifiers, Methods, Arrays. This book in two parts introduces the Java programming language. The text assumes the student will be using the BlueJ development environment and provides some introductory BlueJ material. Our experience has been that BlueJ is easy to learn and provides a good programming environment for the beginner programmer. all exercises with the exception of extension exercises. This is Your First Cup: An Introduction to Java Platform, Enterprise Edition, a short tutorial for beginning Java EE programmers. This tutorial is designed to give you a hands-on lesson on developing an enterprise application from initial coding to deployment. This tutorial is for novice Java EE developers. You should be familiar with the Java programming language, particularly the features introduced in Java Platform, Standard Edition 6. While familiarity with enterprise development and Java EE technologies is helpful, this tutorial assumes you are new to developing Java EE applications. This book is a Java developer's guide to the Apache Jakarta Commons project.It covers in detail the twelve most important Commons packages, with sampleprogram code provided for each. Included are a number of remarkably usefulideas for working the various Commons packages, such as using HttpClient toaccess web resources, File Upload for handling HTTP file upload, BeanUtilsfor easy form generation, implementations of various protocols such as FTP and NNTP, and building a command line tool to search for the location ofclasses on the class path.Also included are detailed instructions for combining the Commons projectlibraries with the popular Eclipse IDE. Java Notes: Brief notes that expand on specific Java features. is based on the Java Platform, Standard Edition (Java SE) 8. This revised and updated edition introduces the new features added to the platform, including lambda expressions, default methods, aggregate operations, and more. An accessible and practical guide for programmers of any level, this book focuses on how to use the rich environment provided by Java to build applications, applets, and components. n addition, the updated sections "Security in Rich Internet Applications" and "Guidelines for Securing Rich Internet Applications" address key security topics. The latest deployment best practices are described in the chapter "Deployment in Depth." f you plan to take one of the Java SE 8 certification exams, this book can help. A special appendix, "Preparing for Java Programming Language Certification," details the items covered on the available exams. Check online for updates. This tutorial has grown into a book called The Java Developer's Resource, available now from Prentice Hall. It's now out of print, but the examples and exercises from that book are also online here and may be of use. Bruce Perens Open Source Series of books makes the full text of tech books available 6 months after publication, e.g. "Apache Jakarta Commons: Reusable Java Components" and "Java Application Development on Linux"
The JNI book Java Native Interface: Programmer's Guide and Specification is available for free. How to link the two files?